April news from ProZ.com « Translator T.O. 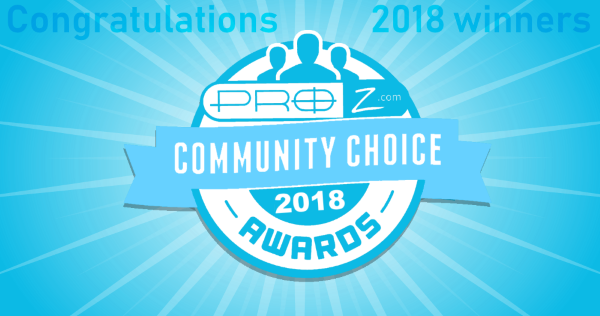 The ProZ.com community choice awards kicked off. A great chance to recognize outstanding professionals in different media throughout the industry. Get your nominations in before May 31st at http://www.proz.com/community-choice-awards/. Mark your calendar for a virtual event on May 15th on income diversification for freelance translators, presented by Joy Mo, author of Goodbye to Feast or Famine. See more details and register for this free event at http://www.proz.com/virtual-conferences/446 . Updates were made to the form to enter rates in your ProZ.com profile, aimed at making it easier to enter your general rates. These can act as a filter if you prefer not to deal with job offers below a certain rate. You can try it out at http://www.proz.com/settings/freelancer/financial (make sure you log in to your ProZ.com profile). A new feature to submit proposed source texts for future translation contests was introduced. You can submit your suggestions, and tag or comment on your own suggestions or submissions made by others, at http://www.proz.com/translation-contests/propose_source_text . Another free webinar week is coming up in May, from the 6th to the 9th. You can attend webinars from leading CAT tool and software providers. This can be a good way to stay up to date on what’s new in translator software, and can be especially useful if you are on the market for a new translation-related tool. See http://www.proz.com/pages/FreelanceFreeWebinarWeek for the schedule. Virtual memoQ day will be held on May 30th. This is a free virtual event centered around the upcoming memoQ 6.5. You can register and see details at http://www.proz.com/virtual-conferences/475. And finally, more “Meeting clients at ProZ.com” webinars have been scheduled for May and June. If you haven’t attended one of these free webinars yet, make the time. These webinars focus on helping you use the site to meet new clients and collaborators, and include a workshop portion with hands-on help from site staff. See more at http://www.proz.com/pages/meeting_clients_webinar. Do you have a plan for your translation business?